Dr. Andrew Hsu, provost and executive vice president for academic affairs, has been named the president of the College of Charleston. Hsu, who has served UT since 2016, was announced as the South Carolina college’s 23rd president Wednesday evening. His start date has not been set. An interim provost will be named to lead UT’s academic affairs during the transition to the University’s next provost. 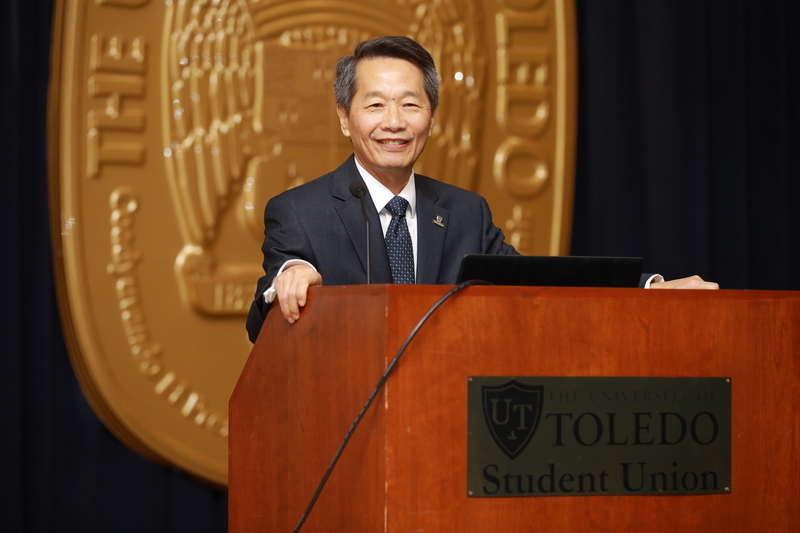 In his time at UT, Hsu led the strategic planning process to create and implement The University of Toledo’s Path to Excellence, which established five strategic priorities to move the institution forward as it heads toward its 150th anniversary in 2022. Hsu’s leadership to advance a culture of success for students and faculty also resulted in improved student retention and graduation rates, and increased research award dollars. This entry was posted on Wednesday, November 28th, 2018 at 10:15 pm and is filed under News, UToday .